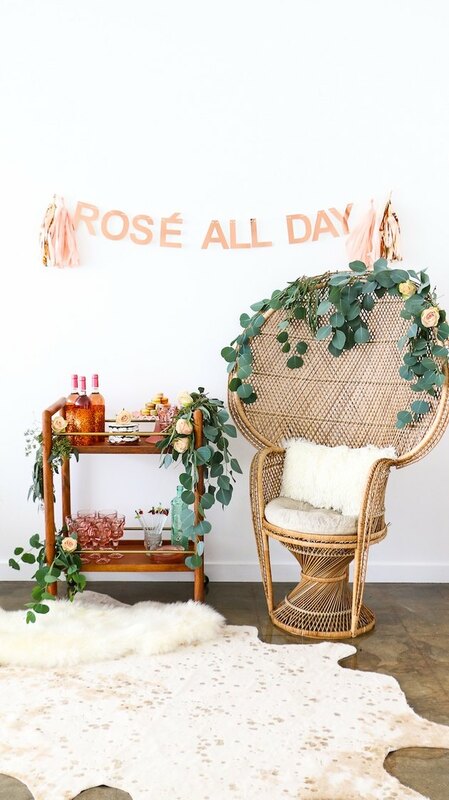 Ahhh, the birds are chirping and the sun is shining ... good omens like these can only mean that it's our fave time of year again: National Rosé Day. 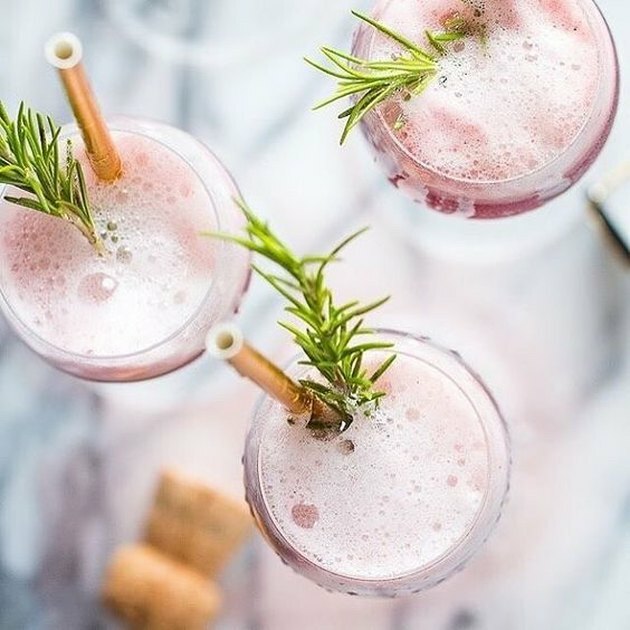 Every second Saturday in June, our Insta feeds are flooded with photos of pretty in pink spirits to commemorate the festive holiday. And while we certainly don't need a day of recognition to enjoy the rosy-hued libation, we welcome any excuse to drink more. Are we right? 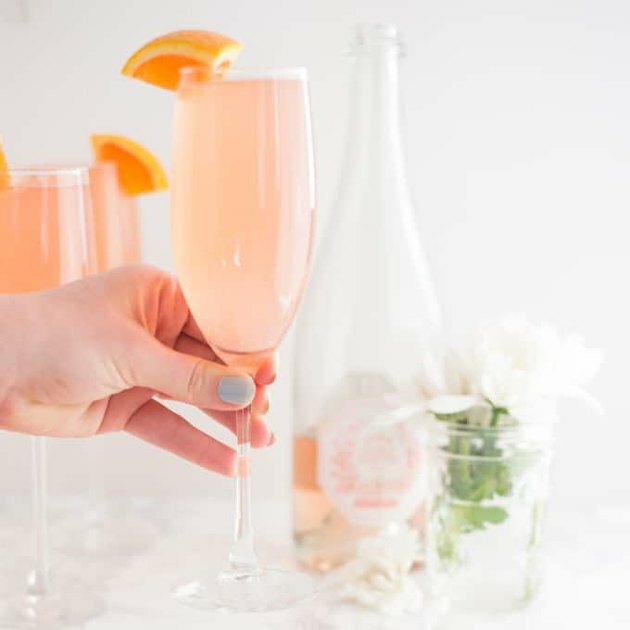 So in honor of our boozy brunch go-to, we've found 10 rosé inspired treats — ranging from cocktails to candy — that will pair perfectly with any summertime soiree, regardless of the day of the week. Remember back in the day when you would spend sweltering summers sucking down ice cold Slurpees from your neighborhood 7-Eleven? (Hold that thought ... brain freeze!) 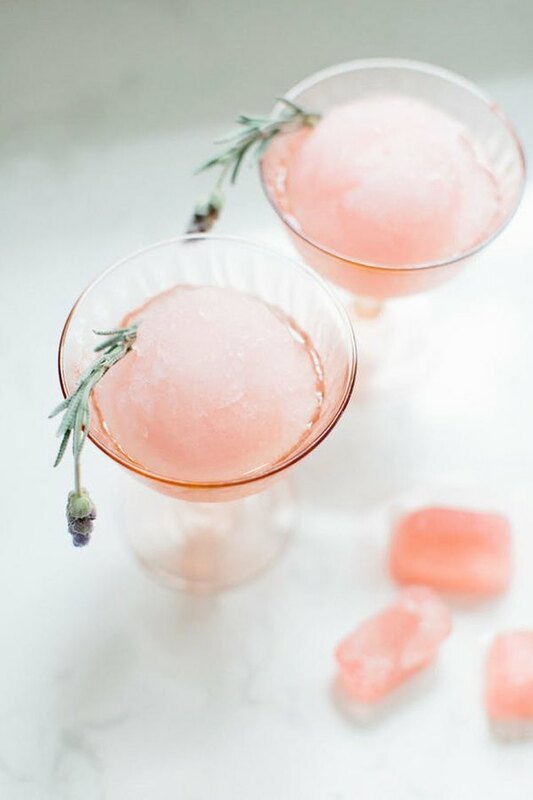 Well this frosty cocktail by Abby Capalbo over at Style Me Pretty Living is a little like that, only more mature and SO much better. Warning: After experiencing this melt-in-your-mouth treat, you'll never be able to look at root beer floats the same again. 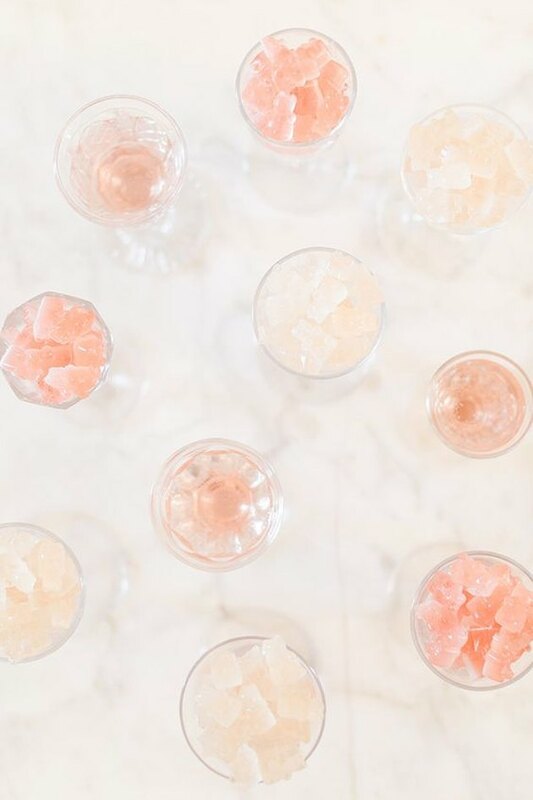 Meghan from Fox and Briar had the culinary ingenuity to combine two of our favorite things: rosé and sorbet. And we wholeheartedly approve. If a mimosa is your brunch go-to, then you're in for a treat. In a fun twist on the traditional breakfast classic, Amanda from the Mindful Avocado uses grapefruit juice and rosé to create the perfect summertime aperitif. 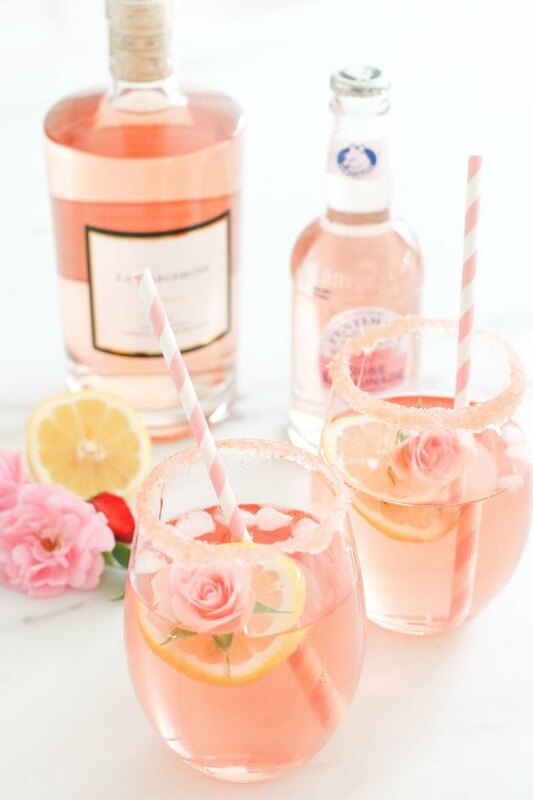 Monika Hibbs is getting down to business with her simple and sweet rosé lemonade. This no muss, no fuss recipe is quick and easy leaving us more time to sit back, relax, and savor the flavor. Let's toast to this modern spin on the mimosa. 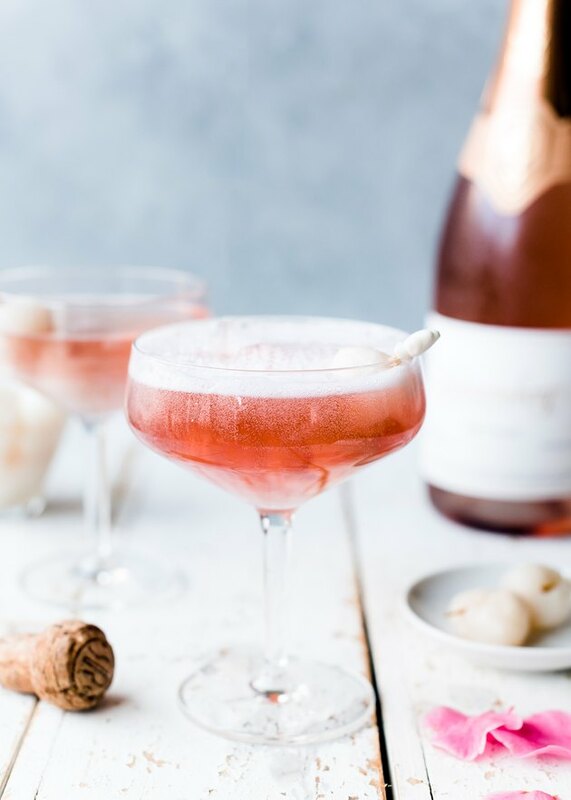 Liren over at Kitchen Confidante has us absolutely swooning over these lychee and rosé libations. An adult take on our chewy childhood fave, these bite-size candies spiked with rosé give a whole new meaning to the words "movie theater snack." Pop on over to Lauren Conrad to check out the recipe details. Or, you can buy them from Sugarfina ( starting at $3.00 ). Our idea of the perfect Sunday Funday? 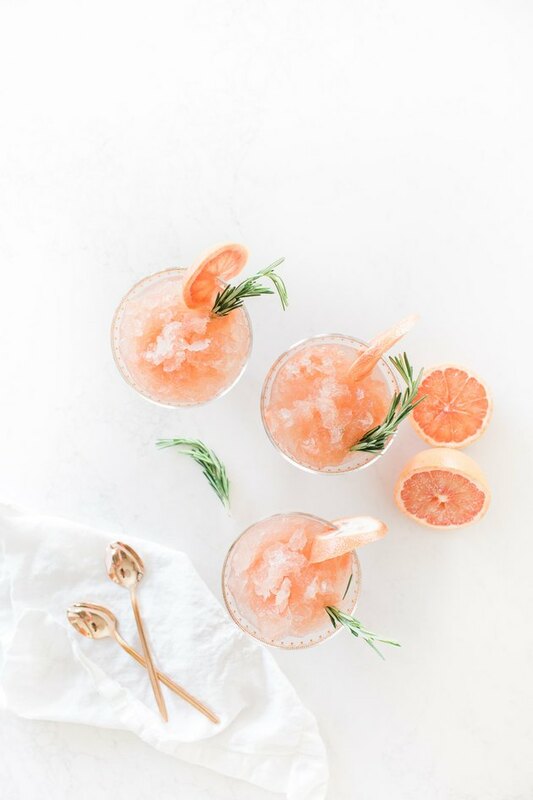 Enjoying the warmth of the sun poolside while staying cool with spoonfuls upon spoonfuls of this grapefruit and rosemary frosé. Check out The Bachelorette alum, Jillian Harris's full recipe here. 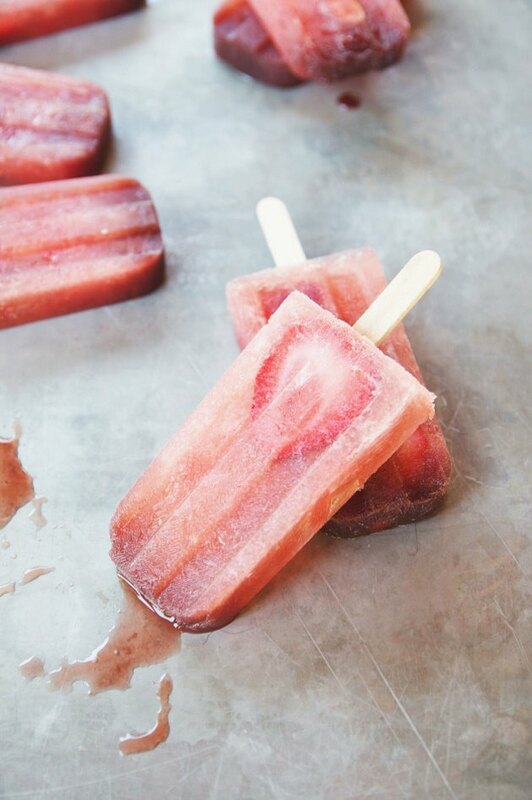 In addition to the fact that summer and popsicles pretty much go hand in hand, we promise, you won't regret spending a little extra time to prep these tasty treats. As a certified sommelier, Jayme Henderson over at Holly & Flora knows a thing or two about wine, so it's no surprise that her strawberry, watermelon, and rosé popsicles are an insanely delicious explosion of flavor. 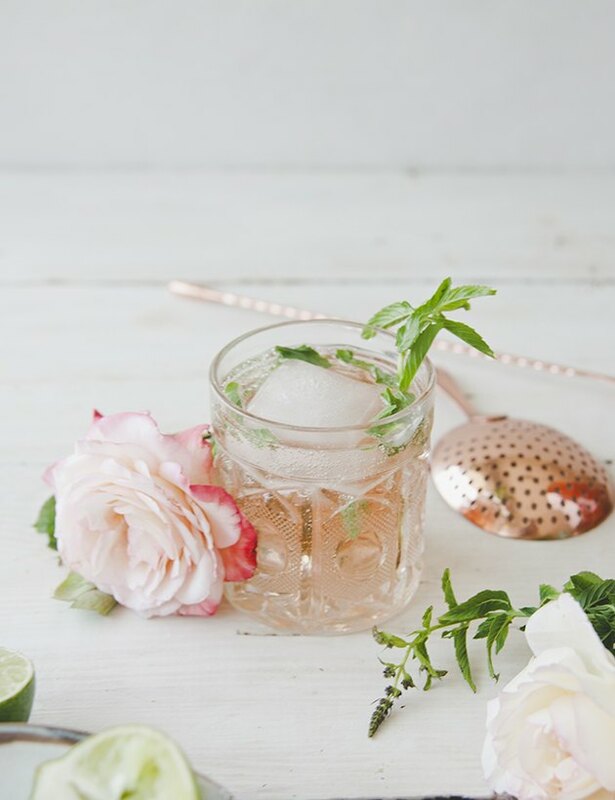 When you see cocktails like this rosé mojito by Claire Thomas from The Kitchy Kitchen, who can wait for happy hour? And besides, it's 5 o'clock somewhere, right? Or, if you're not a fan of mint, give this fruity sangria a whirl. 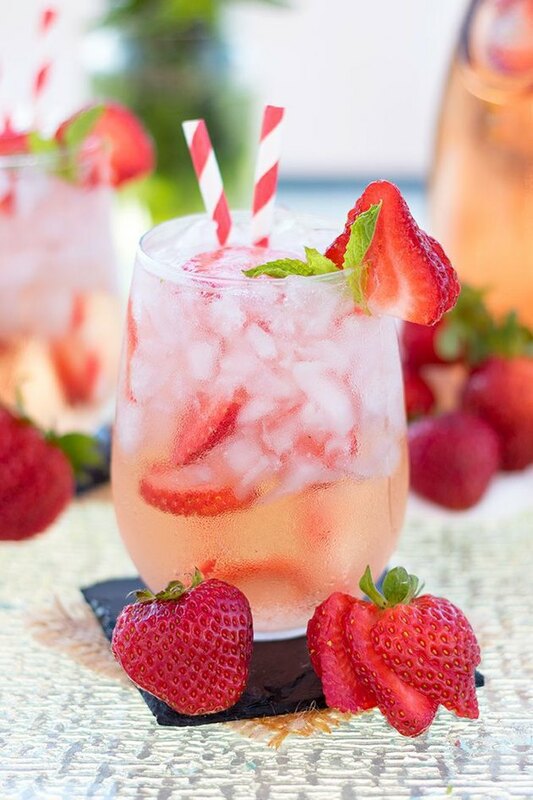 The cool, crisp taste of strawberry-infused rosé is a delightfully picture-perfect way to stay refreshed all weekend long. Check out the full recipe over at Jennifer Meyering.